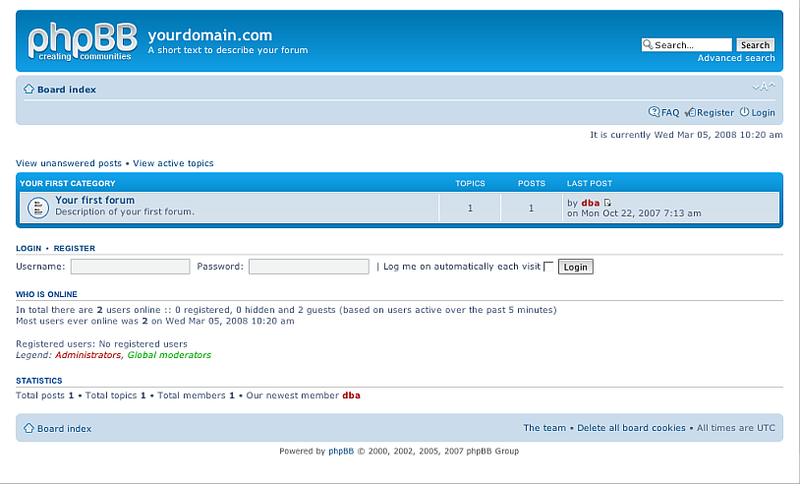 phpBB is the most famous Open Source product for online forums. 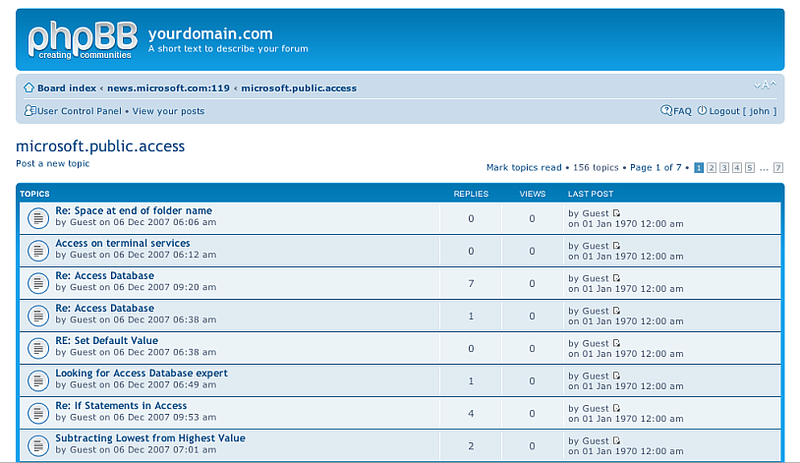 Here you can find instructions how to use Virtuoso Database for hosting phpBB tables, and use it as Application Server with php hosting. 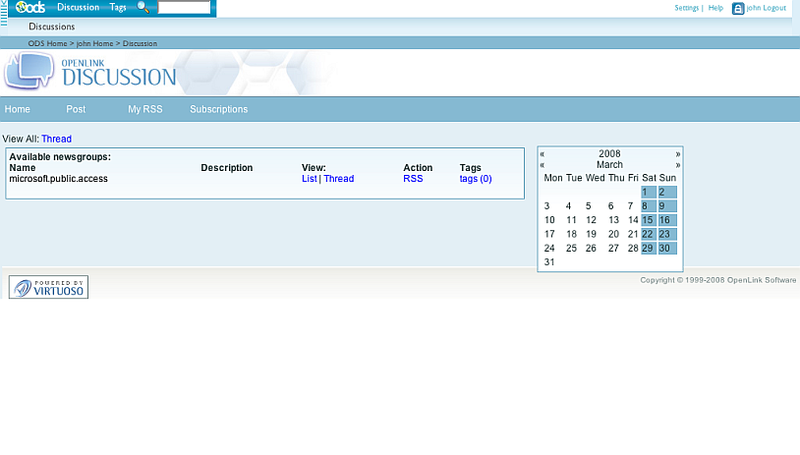 You can find the phpBB3 Linked Data View scripts here. 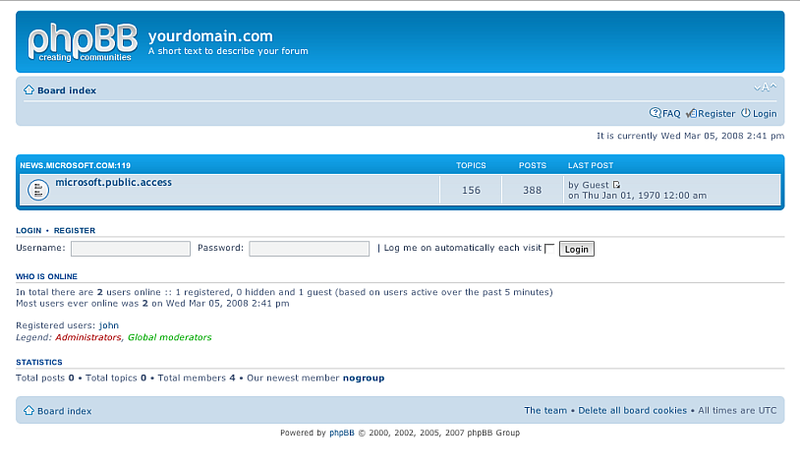 Note that they are included in the phpBB3 package. 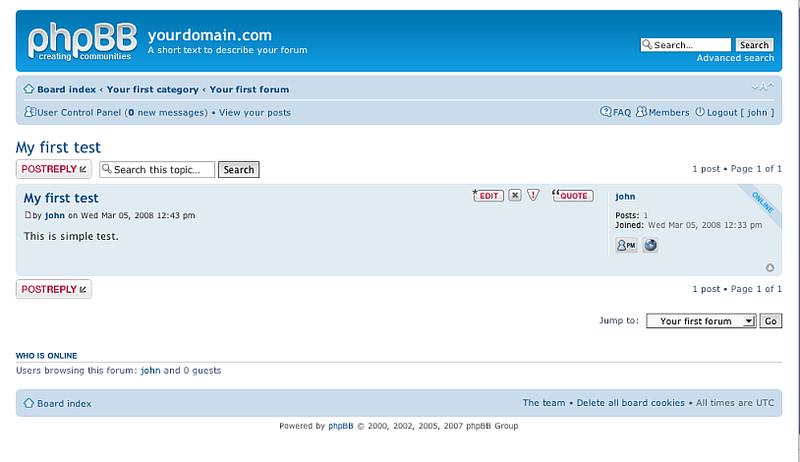 Important: In the config.php file leave the tables prefix to default "phpbb_" as well as $dbuser. 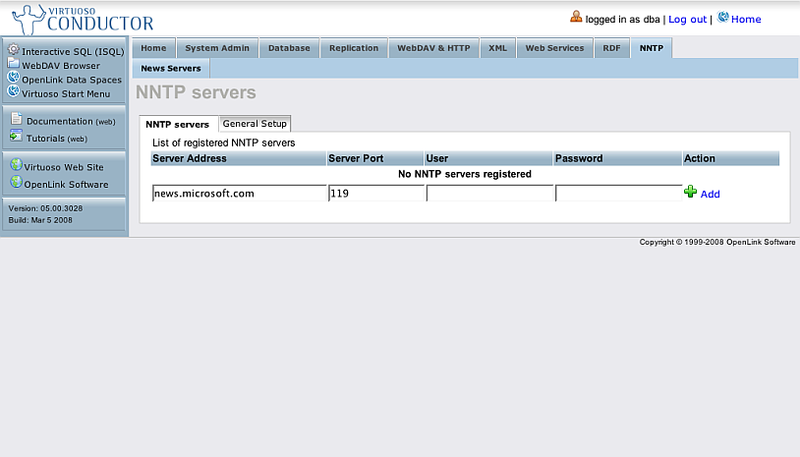 Enter Server Address, port and if needed user name and password and click the button "Add". 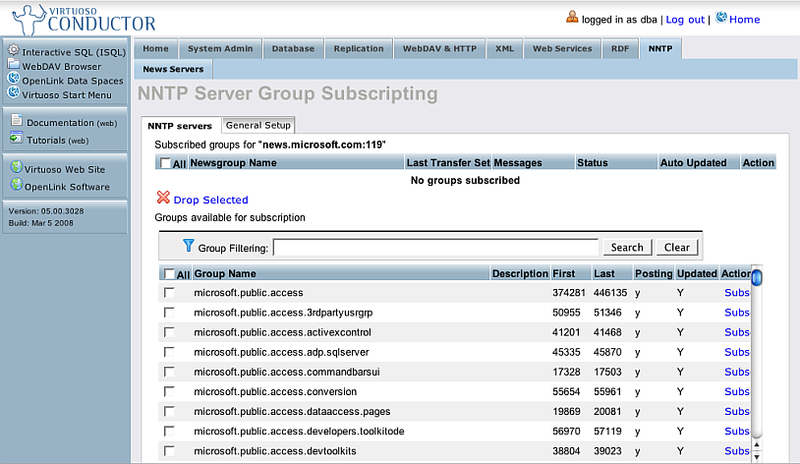 Click the "Subscribe to newsgroups" link. 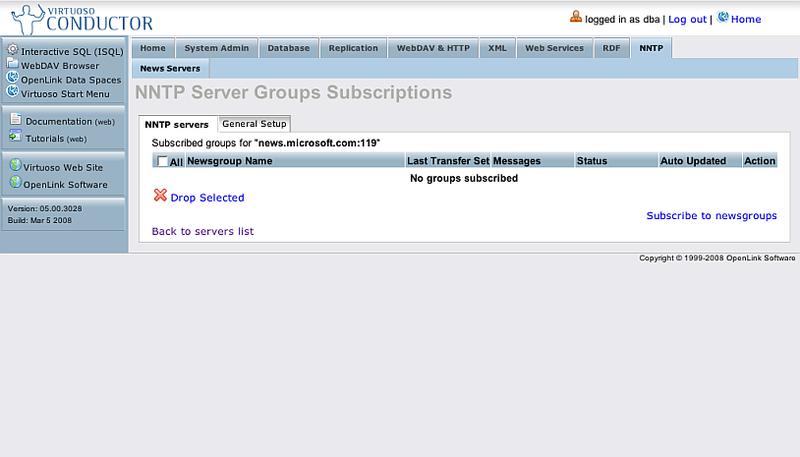 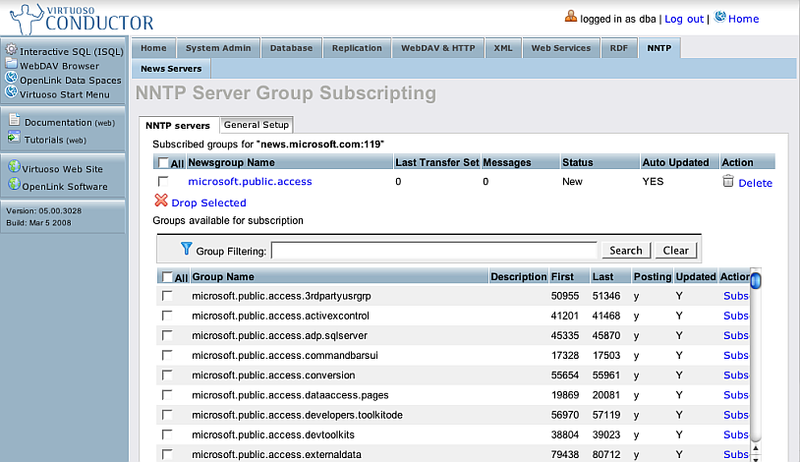 As result the group will be shown in the list of "Subscribed groups for ..." Click its Newsgroup name link. 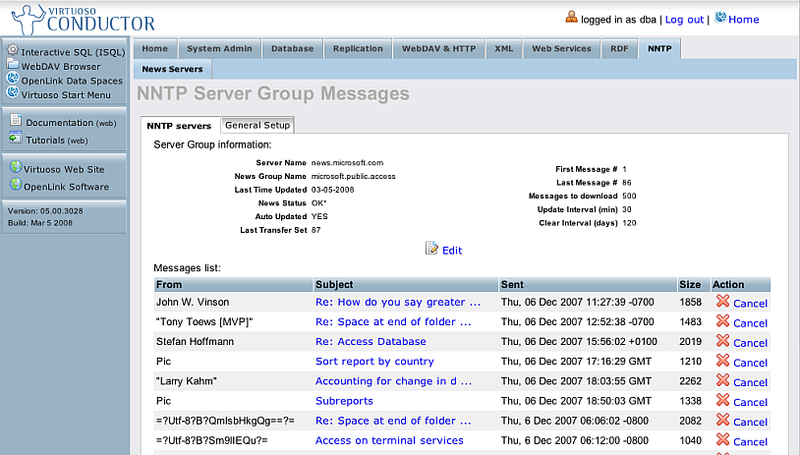 As result will be shown the page with information about the newsgroup and the messages that have been retrieved. 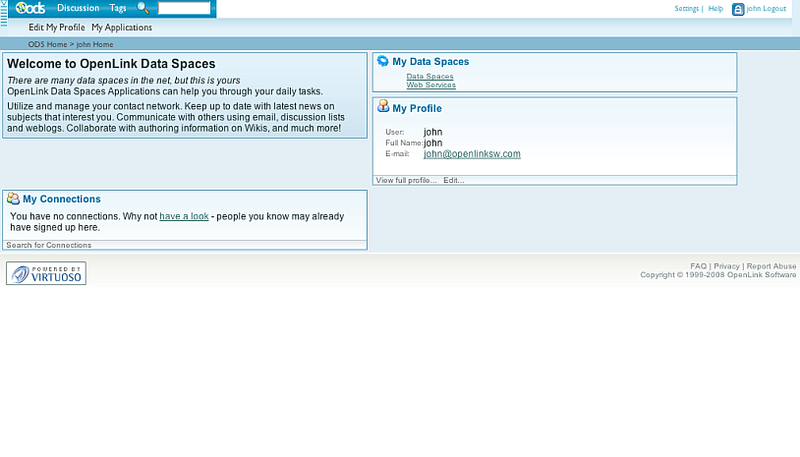 Enter in the shown form Login Name, etc, and click the "Sign Up" button. 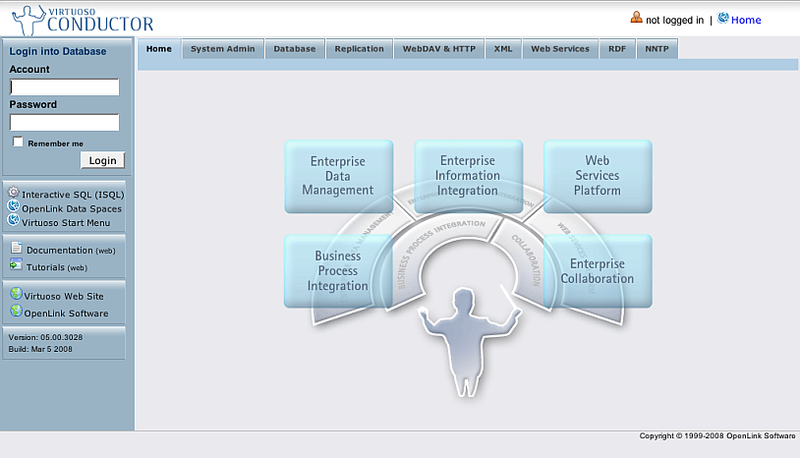 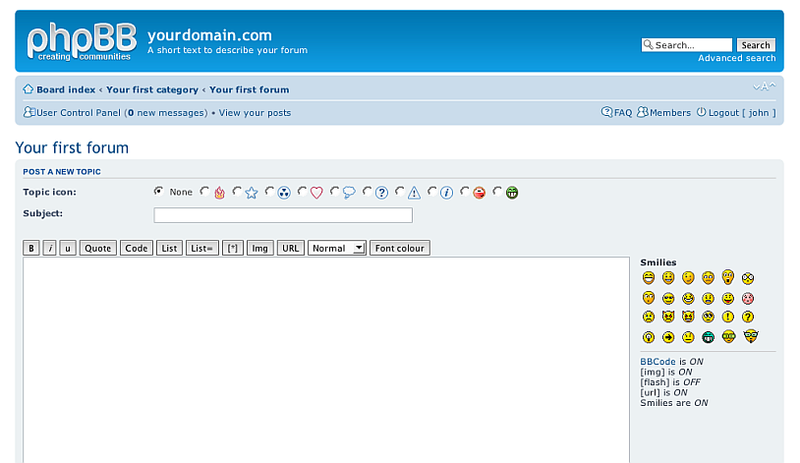 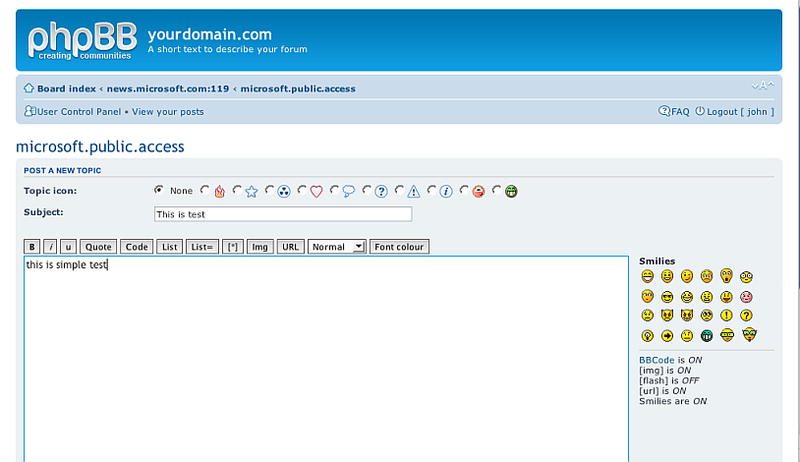 As result you will be successfully logged in to the phpBB3 UI. 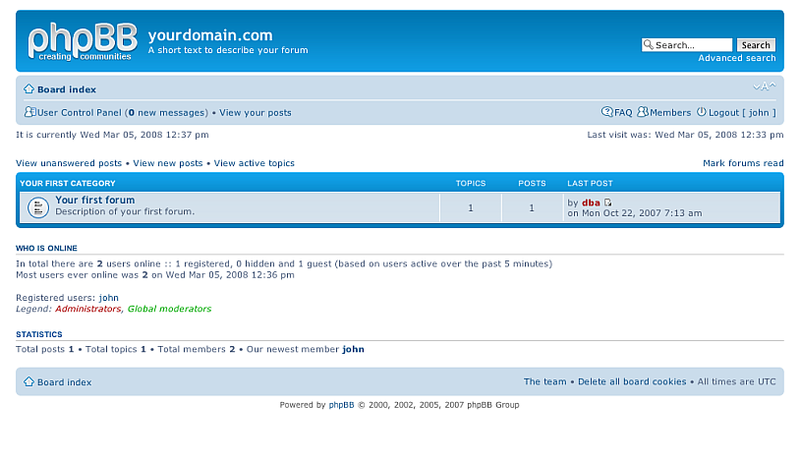 Click the link of the forum with name "Your first forum". 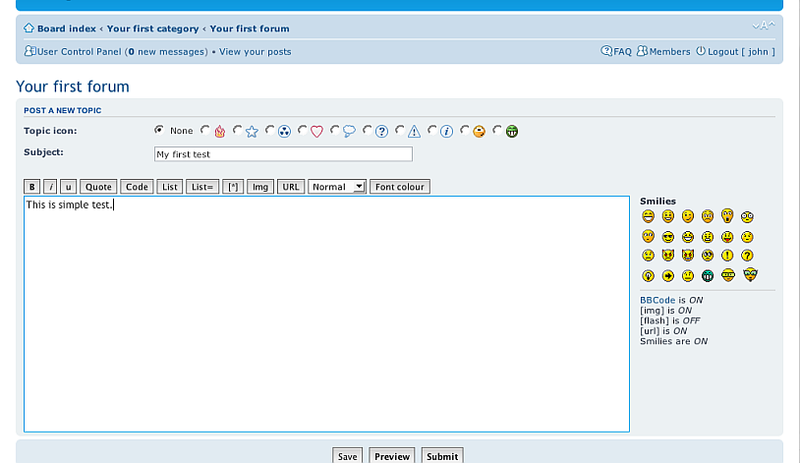 Enter in the form in the Subject and text-area fields some values and click the "Submit" button. 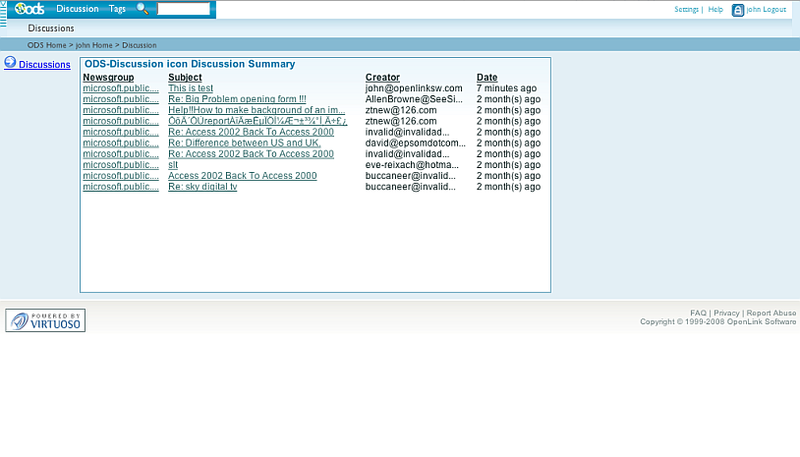 As result your topic will be created. 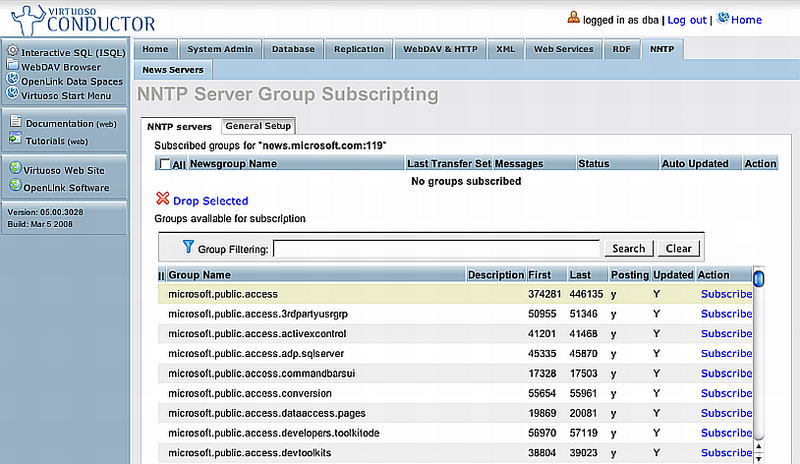 Click on the newsgroup name link. 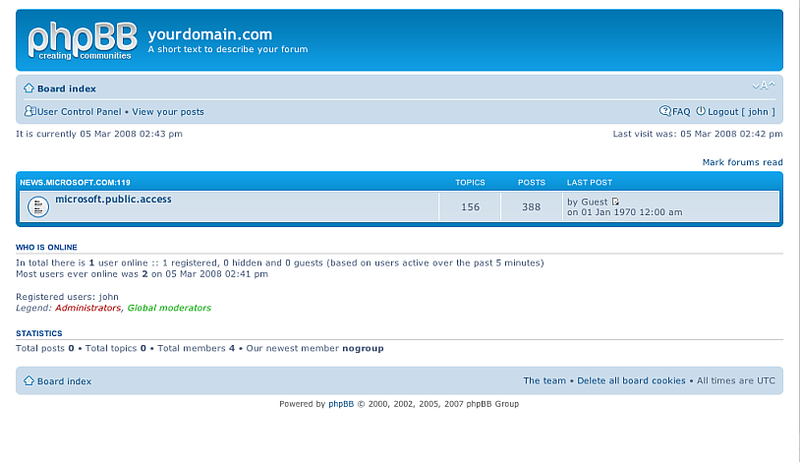 As result will be shown the posts for this newsgroup. Click the "Post a new topic" link. 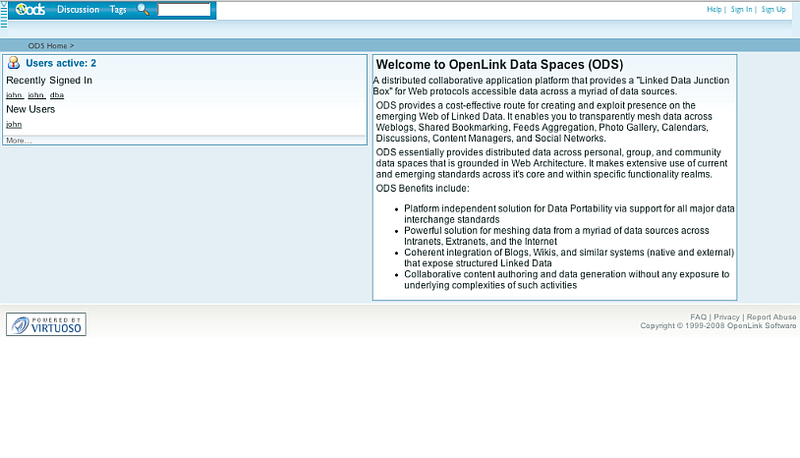 Go to http://host:port/ods and login as ODS user. 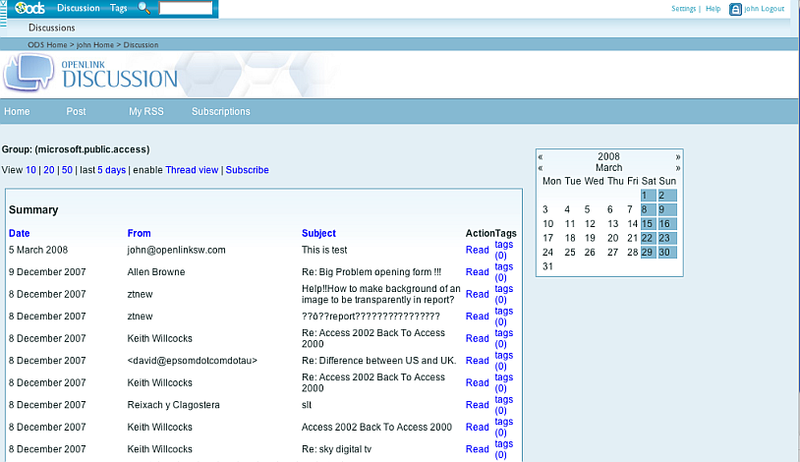 Click the link "List" for the newsgroup you have posted your message to. 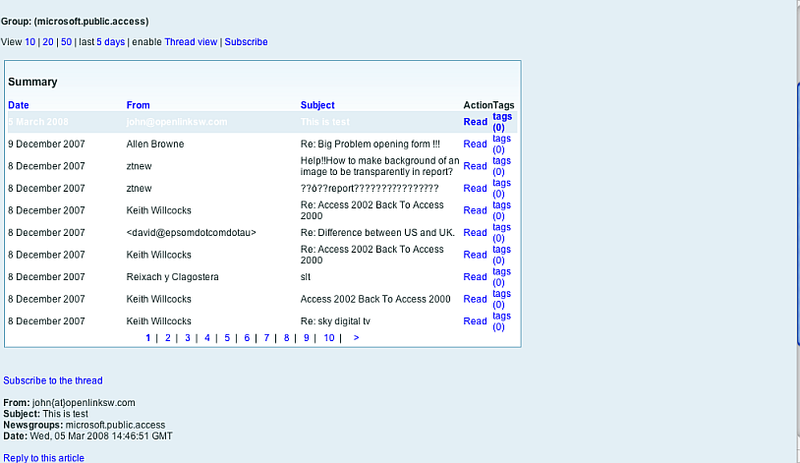 Click the Read link for your message shown at the top of the messages list. 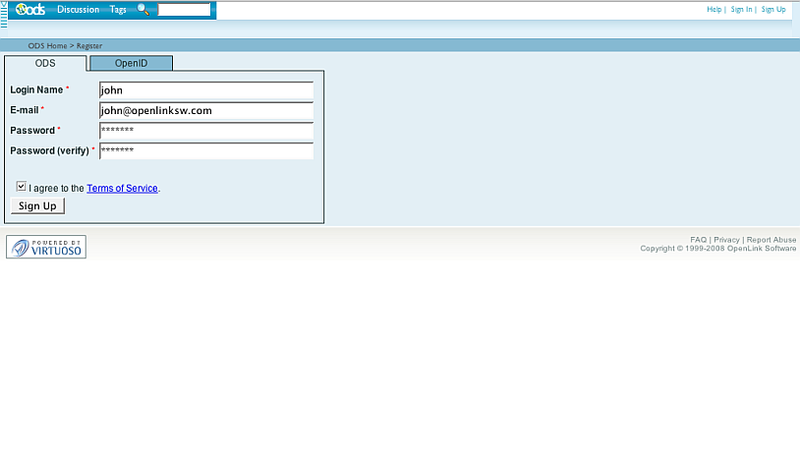 As result your message details will be shown. 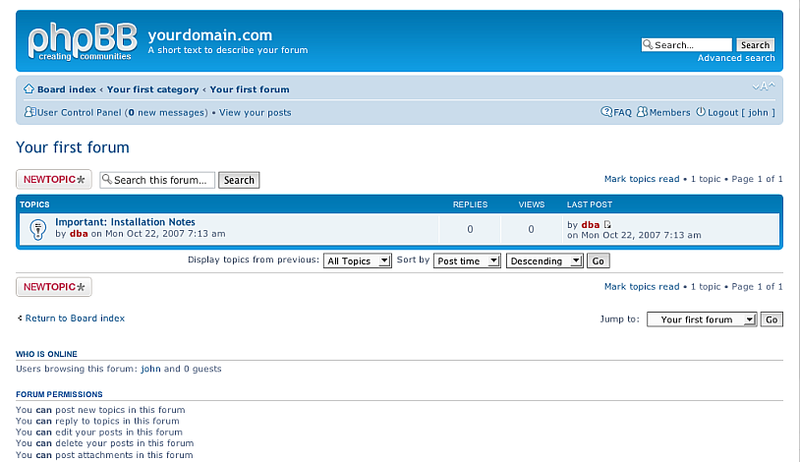 You can download the phpBB3 VAD package from here.